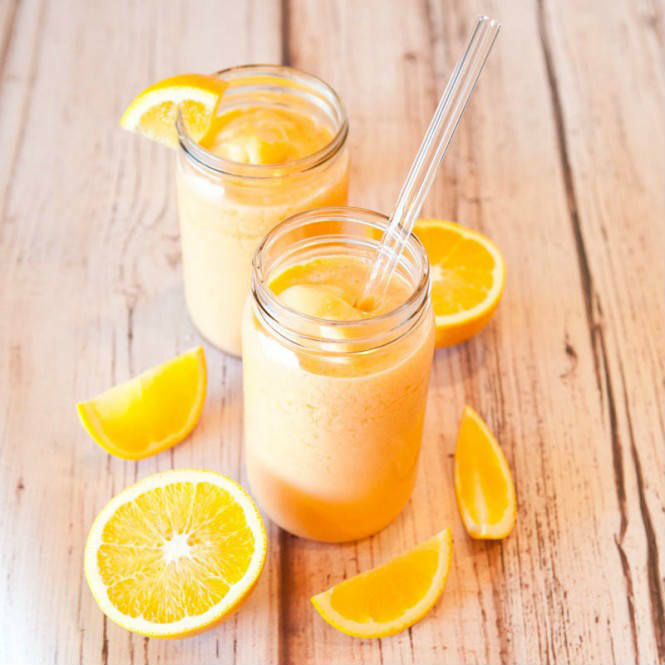 If you like Orange Push Up Ice-cream than you will definitely enjoy this easy to prepare orange smoothie which is very delicious.Vegan milk is used for this creamy orange smoothie recipe and is gluten-free. Add as much sugar as you wish. The preparation won’t take more than 5 minutes. Put all ingredients in a blender, except ice and optional alcohol. Blend until smooth and creamy. Add more water or milk for better mixing. Add the ice and blend until smooth. Pour the alcohol and serve immediately. Enjoy in this tasty ice cream-orange-smoothie with your friends!! !